David Tindsley (Maven Capital Partners) James Norden (DTC) Graham Hall (Maven Capital Partners). MEIF Maven Debt Finance has provided DTC International, a telecoms lifecycle management company, with £350,000 of debt funding. The funding will enable DTC to develop a state-of-the-art training centre, which will support its ambitious growth strategy, creating 40 new jobs in the South East Midlands. The new training centre is intended to be a centre of excellence in the industry, and is a crucial part of the company’s move to a direct-employment model, enabling the business to train employees to an exceptionally high standard, assist in ensuring higher workforce retention and offer cross-skilled Engineers in what is a fast developing market. 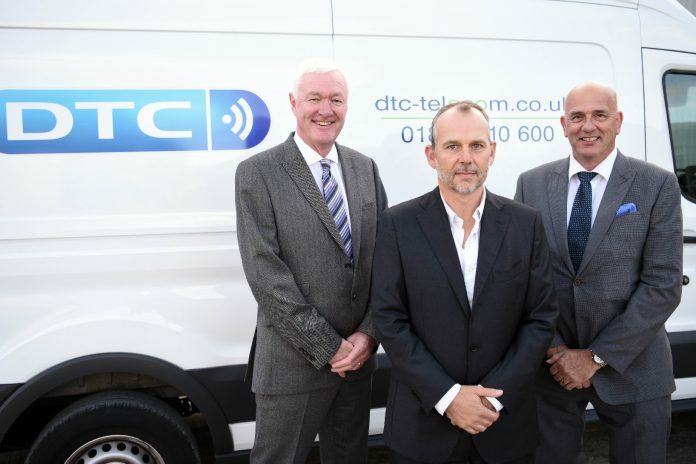 Highly regarded within its industry and supporting a number of blue-chip customers, DTC provides lifecycle management services across all areas of a telecoms network and has developed three distinct divisions; Reverse Logistics, After-Market and Technical Network Services. The company’s services range from providing technology migration consultancy to major telecom operators, ethically recycling older telecoms technology, copper cable recovery and the recycling and subsequent sourcing and resale of mature technology to current users. Huge demand and growth is anticipated in the UK broadband sector. The UK Government recently announced, in its Future Telecoms and Infrastructure Review, the £1.1 billion investment to give the majority of the population access to 5G, connect 15 million premises to full fibre broadband by 2025 and provide full fibre broadband coverage across all of the UK by 2033. Major telecoms operators, including BT and Virgin, are planning to spend £6B and £4B respectively over the next five to seven years in broadband roll-outs and network improvements. The increased focus is on improving broadband networks, and, combined with the ever-evolving telecommunications landscape DTC is in an advantageous position to benefit from this investment that is vital for the UK to remain globally competitive in a digital world. Jonathan Lowe, Investment Director at Maven said: “DTC is an established and growing business, backed by an experienced management team and we are delighted to support the company with a flexible funding package through the MEIF Debt Fund. Grant Peggie, Director at the British Business Bank, said: “It is good to see that funding from Midlands Engine Investment Fund (MEIF) money, managed by Maven Capital Partners, is supporting the growth of DTC and creating new jobs in the region.